Feet don't feel great? Let us help you get your ski boots dialed in and comfortable. We have an oven, press, and plenty of other tools and tricks to get your feet feeling happy while you're touring, both up and down. Schedule an appointment or just drop on by. Thermo Mold Liners - Heating the liners and molding to your feet. Includes a shell fit and related sizing help. Molds are included with a purchase of new boots, and 50% off with purchase of liners. Buckle Replacement - Have a broken buckle? Let us install a new buckle for you (parts sold seperately). 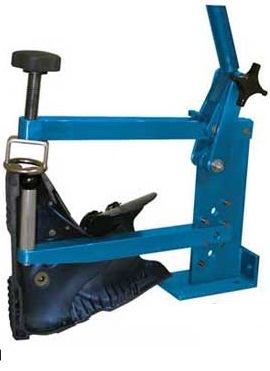 Boot Punch - Any stretching or modification to the shell to make it bigger (price per punch, which is guaranteed). Heat Mold Shells - Heat/Custom mold shells and liners. Cramp-In Install - Install the Dynafit crampin receptor in the toes of the boot. What is 1 + 15?